1WET YOUR WHISTLE: The Boulder City Beerfest returns for its seventh incarnation Saturday at Wilbur Square Park, 200 Park St. More than 300 brewers, including host Boulder Dam Brewing Co., are expected at the event, scheduled from 1-7 p.m. There also will be eight food trucks and vendors. Tickets are $60 for VIP entry at 1 p.m. and $45 for general admission at 3 p.m. Proceeds benefit Operation Homefront, which provides emergency financial aid and assistance to families, service members and wounded warriors of the United States armed forces. (Red Mountain Choir) "Beautiful Noise: Broadway Then & Now" will be presented by the Red Mountain Choir at 7 p.m. March 29 and 30, 2019, at the Elaine K. Smith Building, 700 Wyoming St.
Boulder City Boulder City and Boulder City Chamber of Commerce are holding the second Big Clean Event on Saturday, March 30, from 9 a.m. to 1 p.m. in the Bravo Field parking lot. 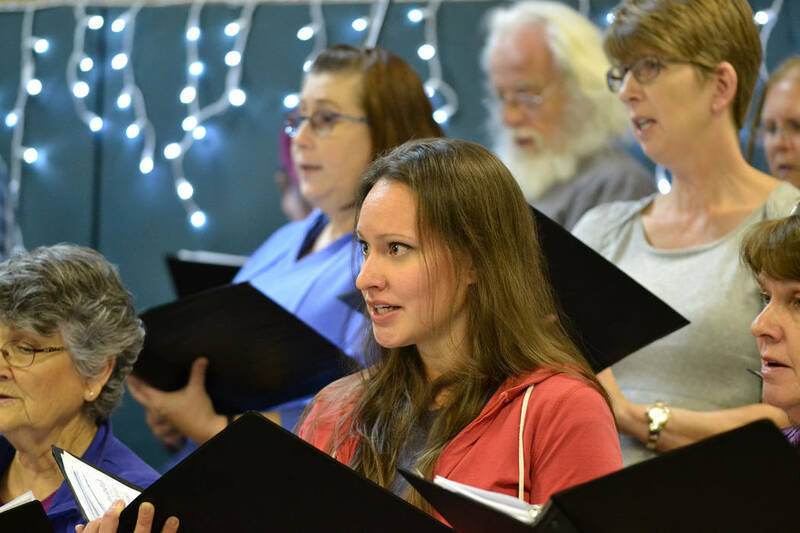 2 MAKE SOME NOISE: Join Red Mountain Choir when it makes “Beautiful Noise: Broadway Then & Now” on Friday and Saturday at the Elaine K. Smith Building, 700 Wyoming St. Tickets are $10 for adults. Children over the age of 5 and students are free. Tickets can be purchased at the door or at the Boulder City Chamber of Commerce, 465 Nevada Way. 3 GO GREEN: Here’s your opportunity to recycle old, outdated and unwanted items all in one place. 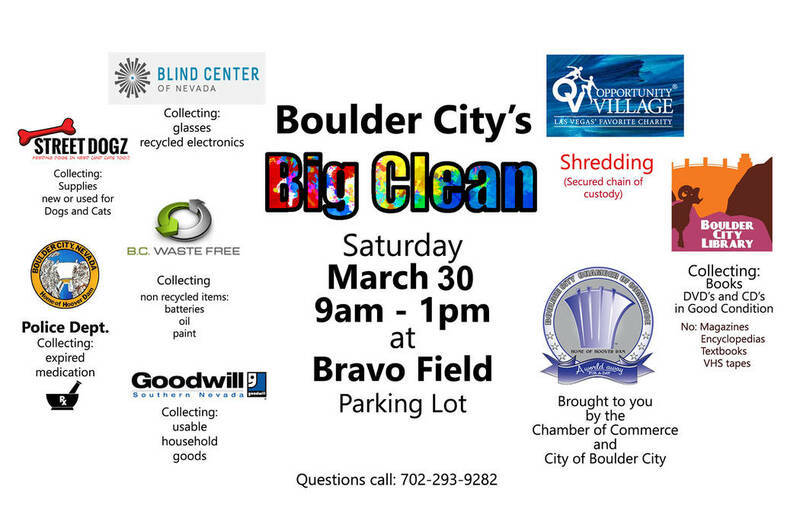 The city and Boulder City Chamber of Commerce are co-sponsoring the Big Clean from 9 a.m. to 1 p.m. Saturday in the parking lot of Bravo Field in the 800 block of Avenue B. Items that will be accepted include batteries, electronics, medication, paint, residential oil and tires.